We are excited to share this month’s Spotlight on Excellence with you! 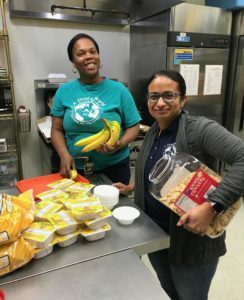 In keeping with our core value of excellence, each month we will find “excellent” things that are happening in our schools and share them with our parents and educators. This month we would like to recognize one of our long-term core ACWLC staff members, Ms. Johane Jacaman. She celebrated her 19th anniversary with the company on March 6, and is the director of our Downtown Winston-Salem school. Under Ms. Johane’s management, the school has maintained a 90% compliance rating with the NC Division of Child Development and Early Education and recently achieved a perfect sanitation visit with zero demerits. 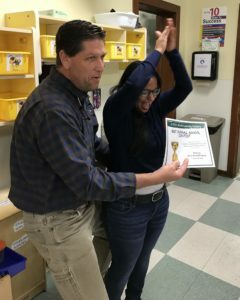 Her school also received a near perfect review with the NC Child and Adult Care Food Program and was the winner of our company’s Best Overall School Contest. 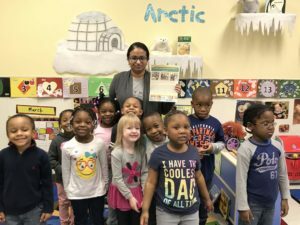 Ms. Johane is a shining example of leadership excellence in early childhood education. She ensures expectations are always met with her team and is quick to step in and assist in the classroom or kitchen at any time. She maintains a positive repertoire with all parents and knows every child in the school. Thank you for all that you do, Ms. Johane. We look forward to 19 more years of excellence!